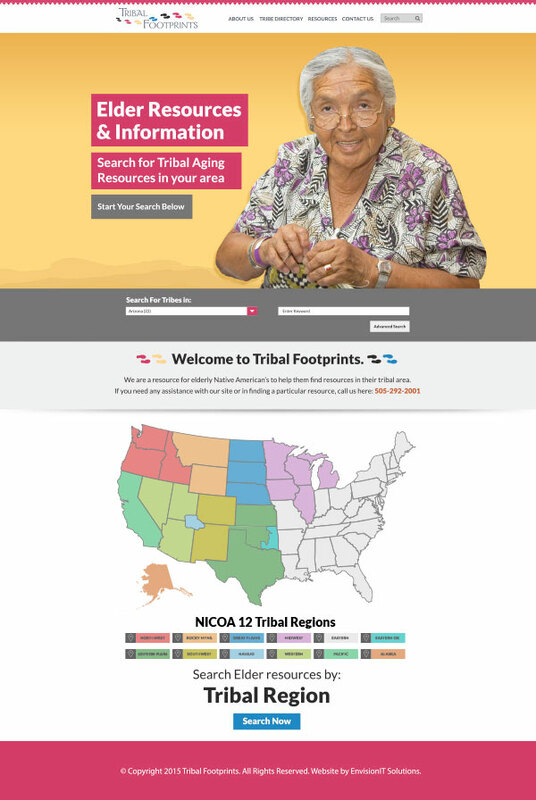 Albuquerque, NM, July 31, 2015 – The National Indian Council on Aging, Inc. (NICOA) is preparing to launch a first of its kind online Elder resource directory for American Indian/Alaska Natives and the Aging Network called ‘TribalFootprints’. The directory will be designed as an Elder friendly website for searching critical health and social services and resources, categorized by tribal name, region and community service type. 27 Tribal Leaders have already agreed to participate in the much anticipated project, with more signing on weekly. TribalFootprints is scheduled to launch later this year. More information can be found at www.nicoa.org/tribalfootprints.org/ or by contacting the Tribal Footprints Project Coordinator Rebecca Owl Morgan at 505-292-2001 ex. 28.